Tackle short vowel sounds with this phonics worksheet. 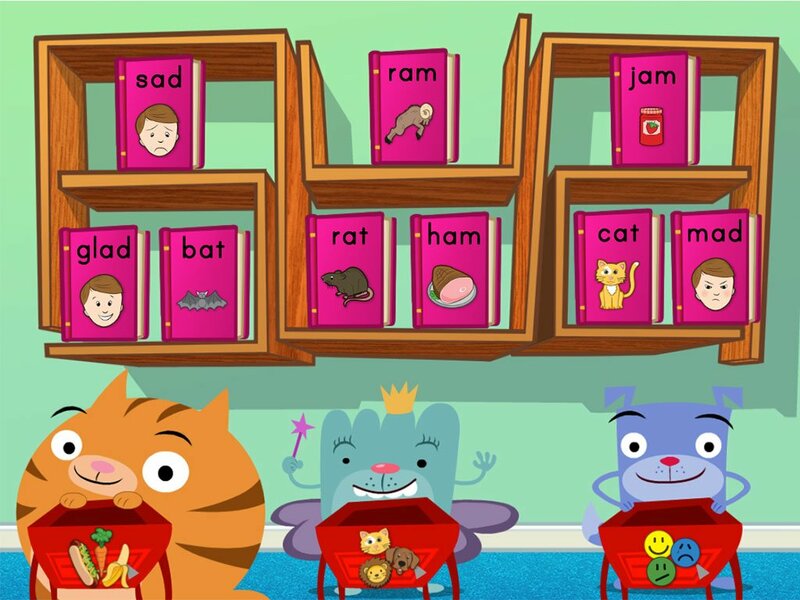 Your little reader will sound out the sight words and practice identifying the ones with a short vowel. 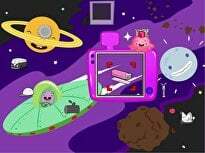 Remember: long vowels say the name of the vowel letter ("rice" or "play") while short vowels do not ("rip" or "pat"). Teaching kids to blend, or combine, sounds in order to pronounce new words is an important element to first grade reading. 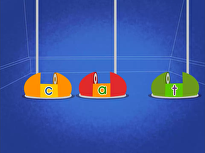 Segmenting the sounds that make up a word, and then blending those sounds to pronounce them correctly, can be a tricky skill to master. 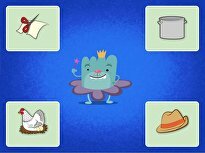 This lesson helps take first graders through this process, with guided practice and helpful examples. Teaching kids to blend, or combine, sounds in order to pronounce new words is an important element to first grade reading. Give them lots of practice sorting short vowel sounds using this fun sorting worksheet. 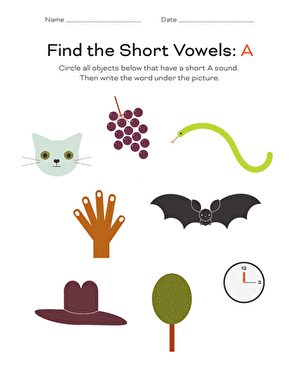 Help your preschooler figure out short vowel sounds with this fun fill-in worksheet. Short and long vowels are critical to reading and writing success. Give your little learner a head start with this fun workbook, filled with exercises to practice working with A, E, I, O and U. This short vowel worksheet gets your child to insert the missing short vowel! Try this short vowel worksheet with your kindergartener. Short vowel sounds! Match the short vowel word to the picture and write it down. 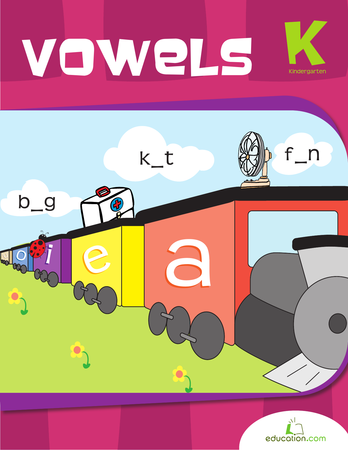 Use this short vowel worksheet to help your budding reader identify short vowel sounds. Boost your student's reading readiness with this charming phonics worksheet that will have her identifying words with short vowel "a" sounds. What short vowel do you hear? 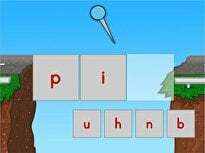 Kids must sort by sound in this phonics game. 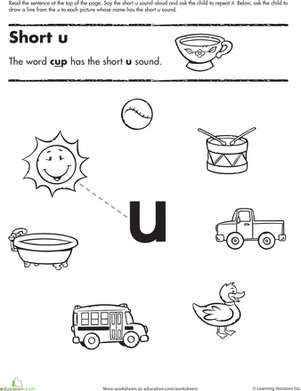 Kids practice short vowel sounds as they draw lines to pictures with the short u sound.